Roots of wild Paeonia lactiflora are often used as herbs in traditional Chinese medicine. 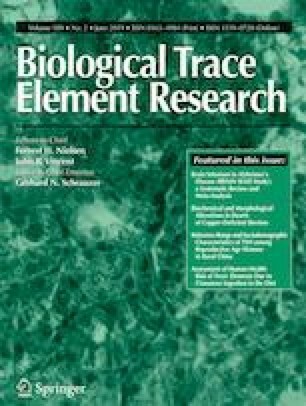 In this study, the contents of potassium (K), calcium (Ca), phosphorus (P), magnesium (Mg), iron (Fe), manganese (Mn), copper (Cu), and zinc (Zn) and the concentrations of three active ingredients such as paeoniflorin (PF), catechin (CA) and benzoic acid (BA) in roots of wild P. lactiflora collected from Duolun County of Inner Mongolia in China were evaluated. The results showed that the mean contents of eight elements followed the following order: Ca > K > P > Mg > Fe > Zn > Mn > Cu, and the concentrations of three active ingredients decreased in the order: PF > CA > BA. It was found that PF concentration was positively correlated with the contents of Fe and Mn. However, the concentration of CA was linearly decreased with Mg content. Moreover, BA concentration showed positive linear dependence upon the contents of P and Mn. Results of stepwise regression analyses showed that 39.2% of the variance in PF concentration could be explained by Fe content, whereas 28.1% of the CA concentration changes could be explained by Mg content; moreover, 42.5% of the variance in BA concentration could be accounted for by the combination of Mn and P contents. In a word, the concentrations of active ingredients in roots of P. lactiflora can be changed by adjusting mineral elements levels in roots to meet the need of appropriate quality control of P. lactiflora. We appreciate Lifei Ren, Liyue Gou, and Min Liu for collecting samples and performing experimental assistance. This work was funded by the Knowledge Innovation Project of Chinese Academy of Science (15228G1002).